The long wait is over: the Metropolitan Museum of Art’s board today (10 April) elected the New York institution’s next director, more than a year after Thomas Campbell announced his resignation last February. 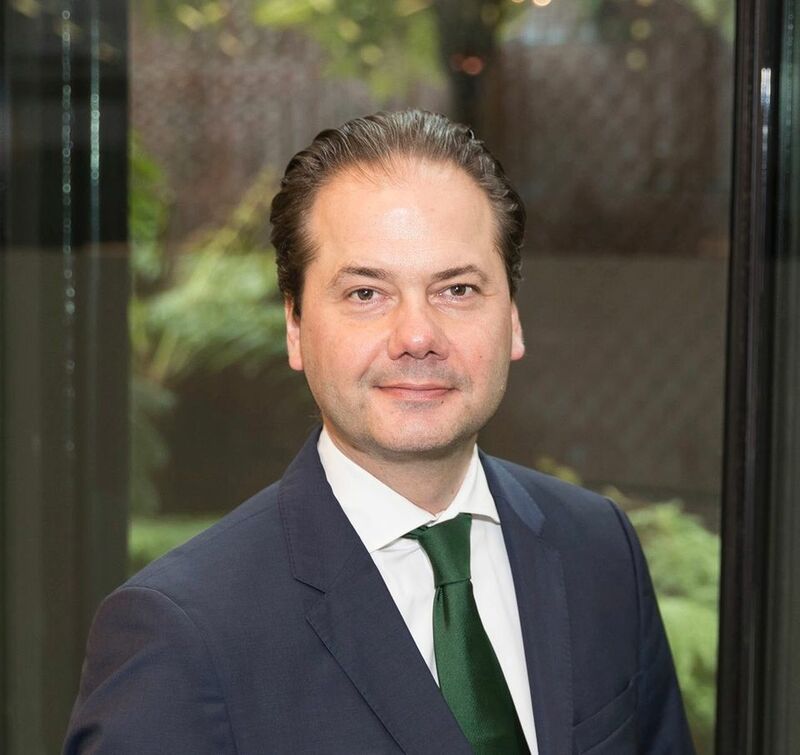 Max Hollein, who is currently the director and CEO of the Fine Arts Museums of San Francisco (FAMSF), will take up the reins this summer. The move will be a homecoming of sorts for the 48-year-old Hollein, who began his career at the Guggenheim Museum in New York in 1995, as the executive assistant and chief of staff to its then-director, Thomas Krens. He has only been at FAMSF since 2016—during which time he has balanced the budget and spearheaded a contemporary art initiative, including hiring a new head curator—and says he was not looking to leave the institution. But serving as the Met’s director “is one very special and unique opportunity that I felt I need to embrace”, Hollein says. Hollein, who earned master’s degrees in both art history and business administration in his home city of Vienna, has also led two Frankfurt museums, the Schirn Kunsthalle and the Städel Museum. The latter doubled its gallery space, added a wing for post-war and contemporary art and launched new collecting areas under his directorship. He has also organised the US pavilion at the 2000 Venice Architecture Biennale and the Austrian pavilion at the 2005 Venice Art Biennale. “We wanted to hire someone who had the kind of experience that’s required to lead the Met, and [Hollein] is eminently is qualified to do that,” says Daniel Weiss, the museum’s president and CEO who has been acting as the director during the interim. “But beneath the surface, Max is someone of great intellectual seriousness, great aesthetic taste and perhaps most important, someone with real integrity,” he adds. More than 100 candidates applied or were suggested for the position since the search, co-led by the board members Candace Beinecke and Richard Chilton, was announced last June. The committee—made up of 17 trustees, including J. Tomilson Hill and Dasha Zhukova, with the board chair Daniel Brodsky and Weiss serving as ex-officio members—met over 25 times during the process. The search began by fine-tuning the job description and necessary traits for the new director, and the committee consulted with hundreds of people including current and former staff, the board and members of the museum community. The Met director oversees 31 departments, including 17 curatorial offices and five conservation teams, as well as the research, education, digital media, publications and design divisions, and manages the collection, acquisition funds and gifts and bequests from patrons. As part of this job, the search description asked for a candidate with “a highly developed ‘EQ’ to ensure successful relationship building, fundraising, advocacy, communication, and team building”. At the end, Weiss says he also “took counsel with some curatorial and conservation leaders [at the Met] to talk to them about where we were in the search and to discuss this finalist candidate with them.” Staff have been “very supportive” of the process and need for confidentiality, he adds. Those highs and lows can come in quick succession at a museum like the Met, which has seen a 40% jump in visitors in the past nine years and recently opened another outpost with the Met Breuer and new galleries in its Fifth Avenue building, including the Islamic Arts Wing. It is also facing challenges such as a goal to balance its budget by 2020—it ended the 2016 fiscal year with a deficit of $8m, down from a potential $40m—and the building of a new $600m wing for Modern and contemporary art, which was put on hold in January 2017. It also recently changed its long-term pay-as-you-wish admission policy to exclude out-of-town visitors, a decision Hollein says he supports. For his part, Hollein says he is “very much looking forward” to working with Weiss. “I’ve been a director and CEO for the last 17 years—basically you [could] call it alone at the helm of an institution moving it forward,” he says. “So to have someone to work together with on that high level is something that I feel at this stage extremely comfortable and excited about,” Hollein says. “I see it as a greater opportunity and partly almost as a relief.” Weiss says the pair has already spent a lot of time discussing how they will lead the team. When the leadership search was announced last June, some commentators suggested that the Met should hire a woman to be the tenth director—which would be a first in its 148-year history. Chilton says that the search “was a rigorous process, because we wanted to ensure that we were complete and thorough in our assessment of trying to find the right person, irrespective of gender, religion, race. We wanted to find the best person, period”.